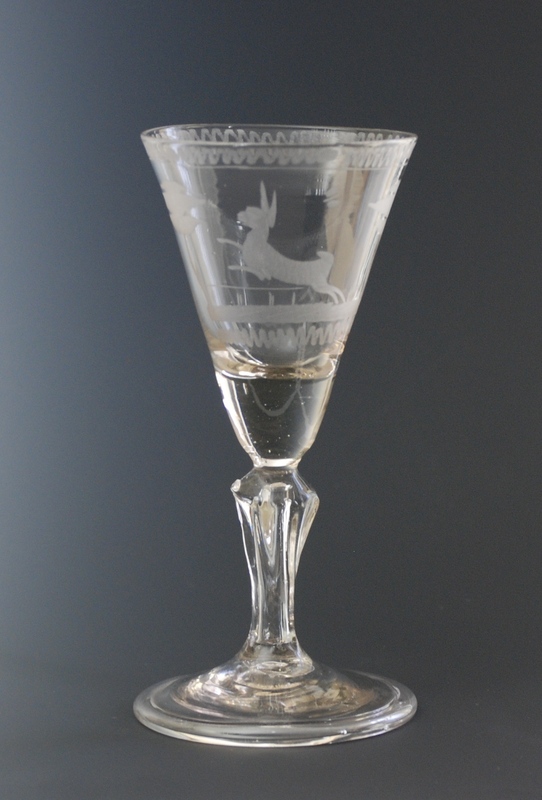 This beautiful wine glass is engraved with a hare on its conical bowl sitting on a molded pedestal stem and folded foot. 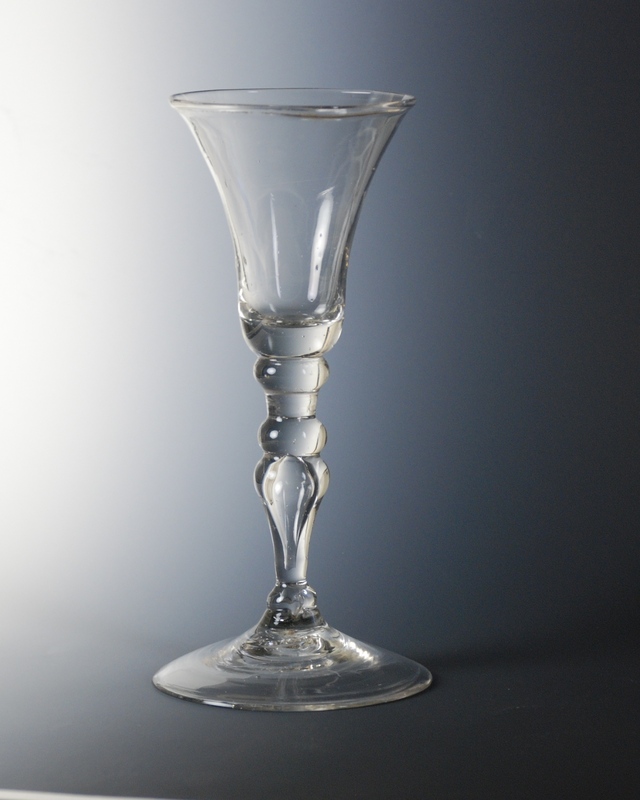 The glass was made in Germany around 1740. 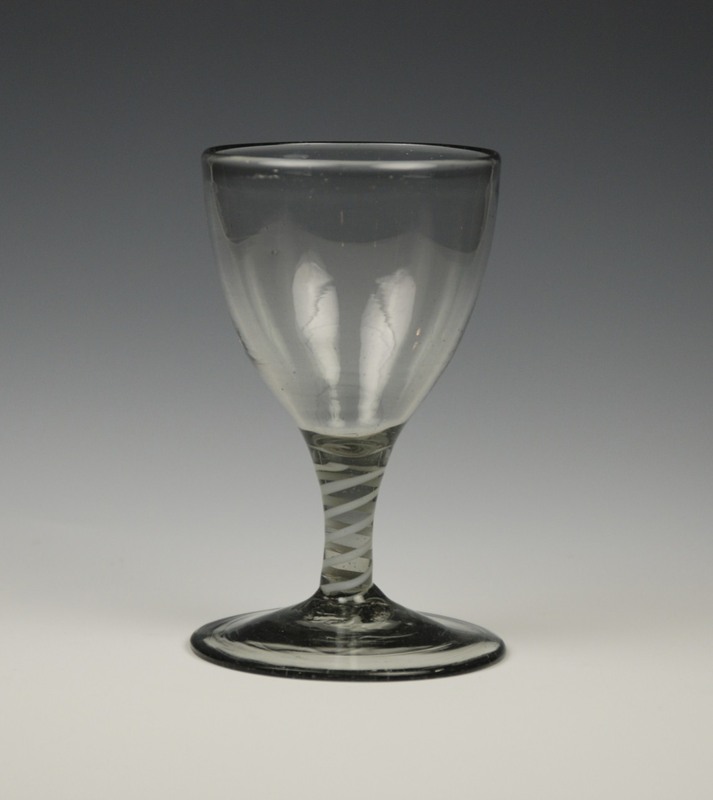 This opaque twist wine has a slight gray tint which is a characteristic of Scandinavian glass. 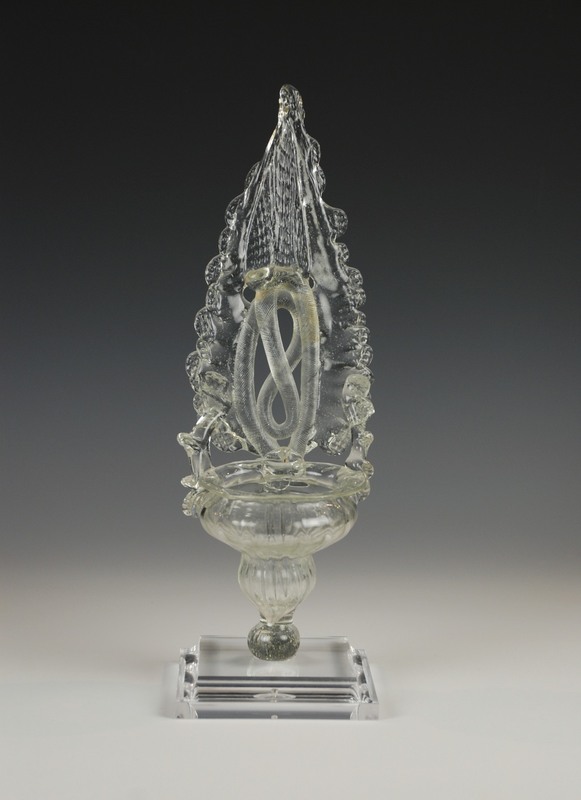 This Spanish glass 18th century stoup was used as a basin for holy water in a Roman Catholic Church. 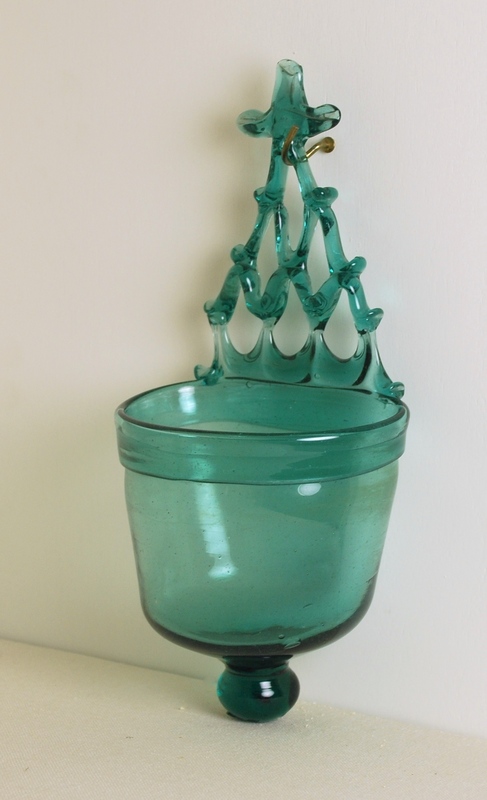 It was hung on the wall near the entrance of the church for worshipers to dip their fingers in before crossing themselves. 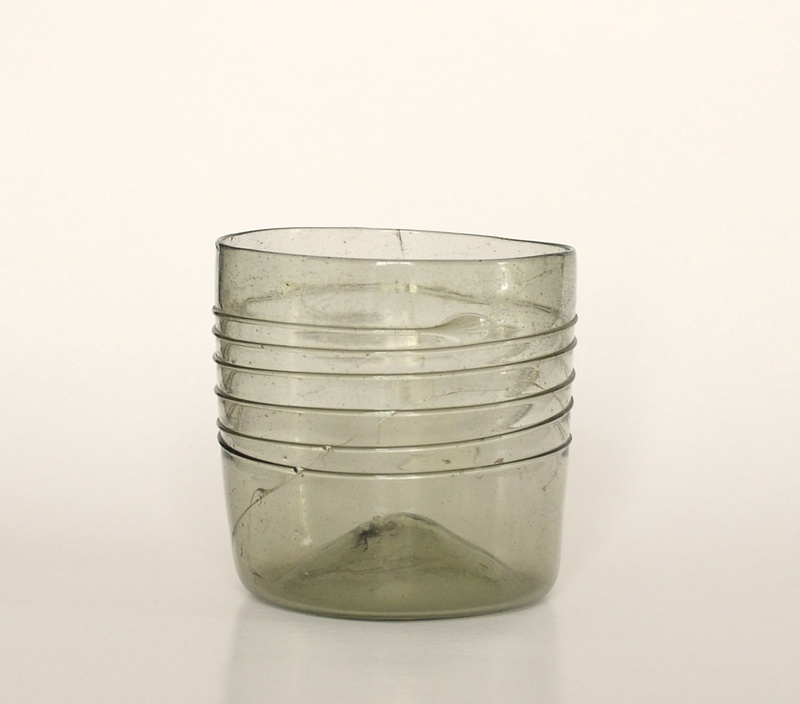 Also see an example of a holy-water stoup from the Low Countries.